BCDB Rating: 3.6/5 Stars from 12 users. This page has been viewed 49 times this month, and 13047 times total. Cartoon Characters: Gru, Margo, Agnes, Edith, Gru's Mother, Vector, Dr. Nefario, Mr. Perkins, Miss Hattie, Scientist, Fred McDade, Tourist Dad, Tourist Mom, Tim, Newscaster. Voice Actors: Steve Carell, Miranda Cosgrove, Elsie Fisher, Dana Gaier, Julie Andrews. Directed By Pierre Coffin, Chris Renaud. Produced By John Cohen, Janet Healy, Christopher Meledandri, Nina Rappaport, Robert Taylor. Written By Ken Daurio, Cinco Paul, Sergio Pablos. Awards: Nominee, Annie Award, Best Animated Feature, 2011. Nominee, Annie Award, Character Design in a Feature Production, Carter Goodrich, 2011. Nominee, Annie Award, Directing in a Feature Production, Pierre Coffin and Chris Renaud, 2011. Nominee, Annie Award, Music in a Feature Production, Pharrell Williams and Heitor Pereira, 2011. Nominee, Annie Award, Production Design in a Feature Production, Yarrow Cheney, 2011. Nominee, Annie Award, Production Design in a Feature Production, Eric Guillon, 2011. Nominee, Annie Award, Voice Acting in a Feature Production, Steve Carrell as Gru, 2011. Music: Hans Zimmer, Heitor Pereira, Pharrell Williams. Editor: Gregory Perler, Pam Ziegenhagen. Originally Released on July 09, 2010. You can watch this cartoon today on your computer. 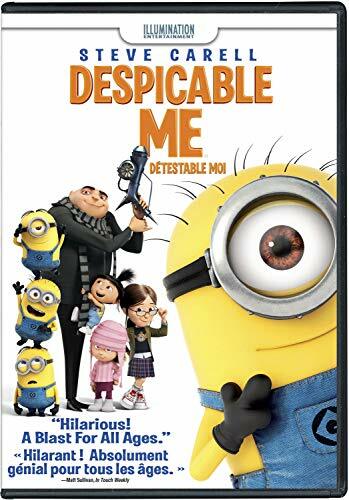 Just click below to start viewing "Despicable Me" online now. Do you have anything to add to this page? Have we made any mistakes... or do you have any additional information about Despicable Me? If so, we would love to hear from you. Please send us a quick note with your additions or corrections to this page, and we will make the corrections as soon as possible! Do you love Despicable Me, or do you think it is the worst cartoon ever? Let us know what you think! Surely you have an opinion... so share what you think. Take a minute and post your own comments about this cartoon here. 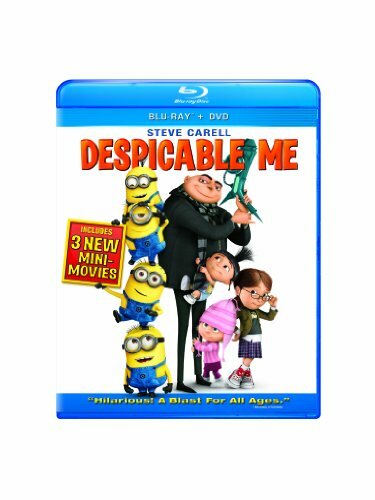 Despicable Me by Big Cartoon DataBase is licensed under a Creative Commons Attribution-NonCommercial-ShareAlike 4.0 International License.